Cervical Spondylitis is a common degenerative condition of the cervical (neck) spine that most likely is caused by age-related changes (wear and tear) in the inter vertebral disks and vertebrae of the neck. The pain can be chronic or episodic, associated with long periods of remission. 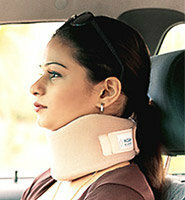 - Neck pain is often accompanied by stiffness which progressively worsens. - Patients without any history of trauma present with pain, loss of sensation, abnormal sensations and weakness, or a combination of these symptoms. - Patients with myelopathy can present with symptoms such as difficulty in writing; diffuse weakness; and abnormal sensations. - Loss of sphincter control and urinary incontinence. Research proven homeopathic treatment offers fantastic pain relief as well as better mobility for Cervical Spondylitis.